Archibald Ralph “Arch” Bristow was born in New Brighton, Pennsylvania, on May 14, 1882, according to his World War II draft card. In the 1900 U.S. Federal Census, he the youngest of four children born to Thomas, a preacher, and Sarah. His parents and siblings were born in England. The family lived in New Brighton at 813 12th Street. Bristow was an apprentice to a machinist, but not for long. 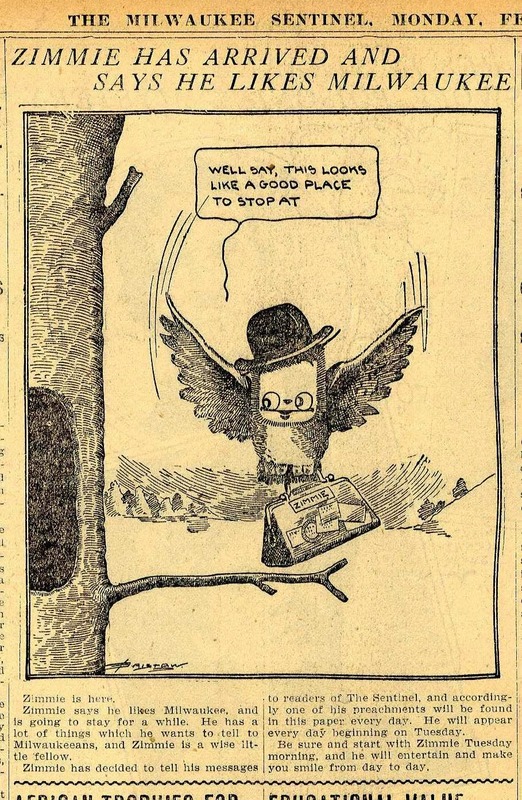 The owl sketches shown herewith are from the pages of the Johnstown Tribune, a live Republican daily published every weekday afternoon in the Flood City. The artist—Mr. Arch Bristow, whose portrait accompanies the sketches—has made a hit with the little owls, which appear every evening with the weather bulletin. 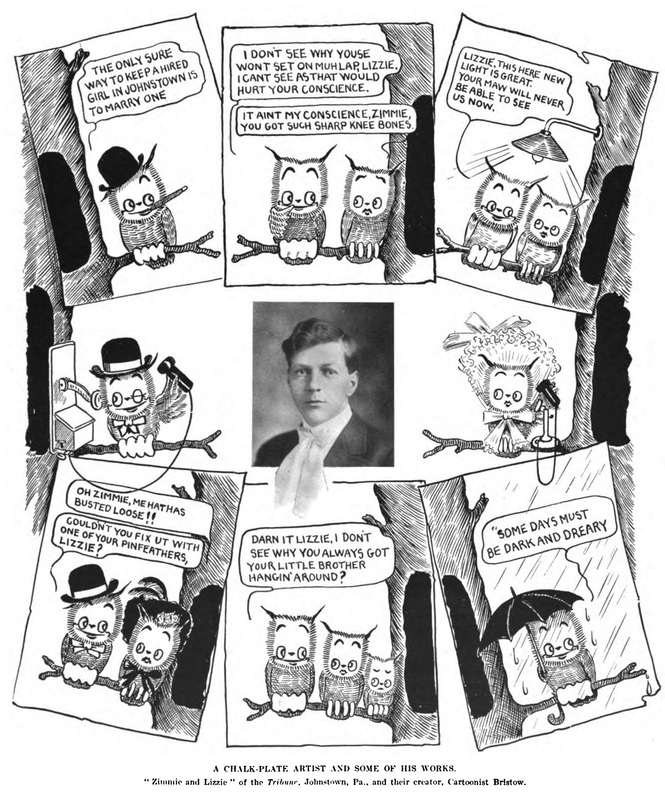 In the three years Mr. Bristow has been the Tribune’s cartoonist, the names of Zimmie and Lizzie have become household words in Johnstown; and every issue of the paper is eagerly searched on its arrival “to see what Zimmie is doing.” During a recent vacation of Bristow’s, when for ten days the owls were missing from their place at the head of the “Here and There Column,” the Tribune office was besieged with letters and telephone calls from people wanting to know what had become of Zimmie and Lizzie. Hundred of Johnstowners are clipping and preserving the pictures, and the smiling face of the owl is even embroidered upon sofa-cushions and burnt on wood. Mr. Bristow also uses the owl as a mascot in all his political cartoons, the strength of which is best illustrated by the fact that no candidate has been elected by the opposition since his cartoons began to appear in the Tribune. All of Bristow’s work is done on chalk plates. Around 1905, Bristow was a cartoonist for the Tribune. Zimmie was a local feature whose start date is not yet known. 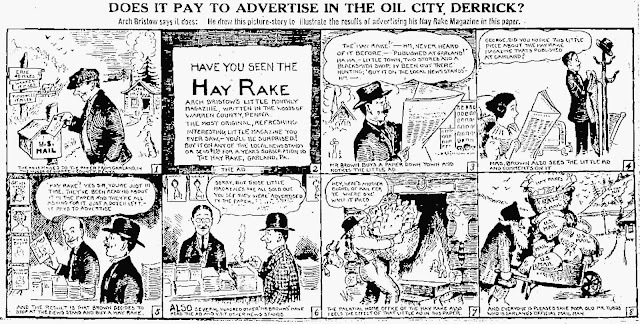 According to American Newspaper Comics (2012), the panel was self-syndicated by Bristow; the Houston Chronicle started it May 5, 1908. Later, the panel would be handled by International Syndicate and the George Matthew Adams Syndicate. Three Zimmie panels are here. Bristow (Arch)*, Johnstown, Pa.Zimmie’s summer book, 1908. 105 p. illus. 12mo. [13592A 207976. May 25, 1908. It's foolish being introduced to people what you know,Or making farewell speeches when you ain’t a-going to go;It seems to me it’s most as bad as telling what ain’t so,Which is something what I never, never do. But the purpose of an introduction is, to introduce:And this here introduction hasn’t got that there excuse.For you all know me and Lizzie. Consekently, what’s the use?But it’s done now. And I’m much obliged to you. Bristow signed his World War I draft card September 12, 1918. He lived at 6 Main Street, Coory, Pennsylvania. His employer was George Matthew Adams in New York City. He was described as tall and slender with blue eyes and gray hair. A photo of the Hay Rake office is here. The office appeared in an illustrated advertisement in the Oil City Derrick (Pennsylvania), May 5, 1921, below. A 1923 issue of Printers’ Ink had an advertisement written by Bristow. “The Erie Daily Times is looked for every evening as a part of our day, quite as much as supper and going to bed. It is a piece of our life in this little town, fifty miles from Erie, and it is just as much a part of people’s lives! in dozens of other smaller and larger towns in the prosperous section that surrounds Erie. So when an advertiser uses space in this staunch daily he has the attentive ear not only of the City of Erie, but of all this region ’round about.” Most of the folks in Erie and trading territory (150,000), and nearly all of them prosperous, look to the Erie Daily Times each day for general news and FOR ADVERTISING NEWS. The 1940 census found him at 1156 West Seventh Street, in Erie, Pennsylvania. He continued as a newspaper writer. His World War II draft card was signed on April 22, 1942. His home was in Meadville, Pennsylvania, at 636 North Street. He worked for the Erie Dispatch Herald, 12th Street, Erie, Pennsylvania. His description was 6 feet quarter inch, 154 pounds, with blue eyes and gray hair. Death Takes Farm Life ReporterArch Bristow, whose accounts of small town and country life appeared in publications for more than 40 years, died Tuesday in a convalescent home. He was 82. Bristow, a native of New Brighton, Pa., had been in semiretirement for the past several years. His writing was confined to a daily column in the Erie Morning News. 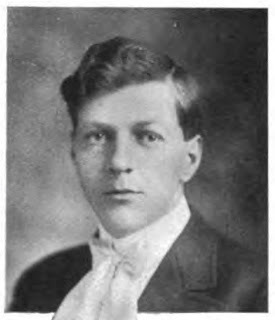 During the 1920s and early ’30s, he was editor and publisher of the Hayrake [sic] magazine, a monthly farm publication circulated in the northeastern United States. Before starting the magazine, he worked as a cartoonist for the old New York World and later for the Pittsburgh Post-Gazette and Johnstown Tribune. He was interred at the Garland Presbyterian Cemetery.